By analyzing over 12 trillion advertiser bids flowing each month through PubMatic’s platform, we can observe realtime developments in the mobile space that may allude to broader digital industry trends. We can then compare this information to other published data to further understand changes in the mobile landscape. We are committed to providing best-in-class mobile tools and services, and we believe that information sharing is crucial in aligning the digital industry towards best practices and, ultimately, growth in mobile advertising. Use this report to influence your media planning, provide rationale for focus on mobile platforms and to aid in future mobile growth. 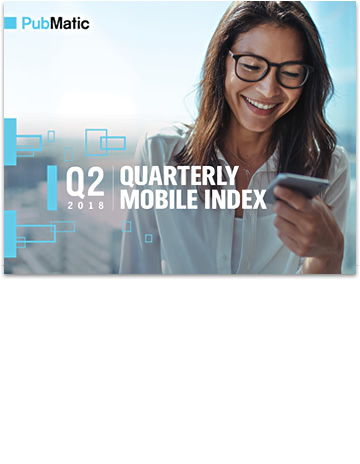 Discover four key mobile advertising market trends from Q2 2018 including insights into the growth of mobile app, mobile web versus in-app eCPMs and video statistics in our latest report.